Business Entity Selection – Determine if your business needs are better served by a Limited Liability Company structure or that of an “S” Corporation. Corporate Formation Preparation and Filing – Prepare and file Organizational Certificates, Operating Agreements, and other necessary documents with state and federal agencies for the incorporation of your business and regulatory maintenance of legal business entity. Contract Preparation and Review – Draft and review contracts for businesses and individuals including sales or service agreements, employment agreements, contracts for lease, purchase, or sale of property, and more. Employment Based Immigration – Consult and instruct employers on protocols for assessing and realizing employment-based immigration opportunities for employees and entrepreneurs. 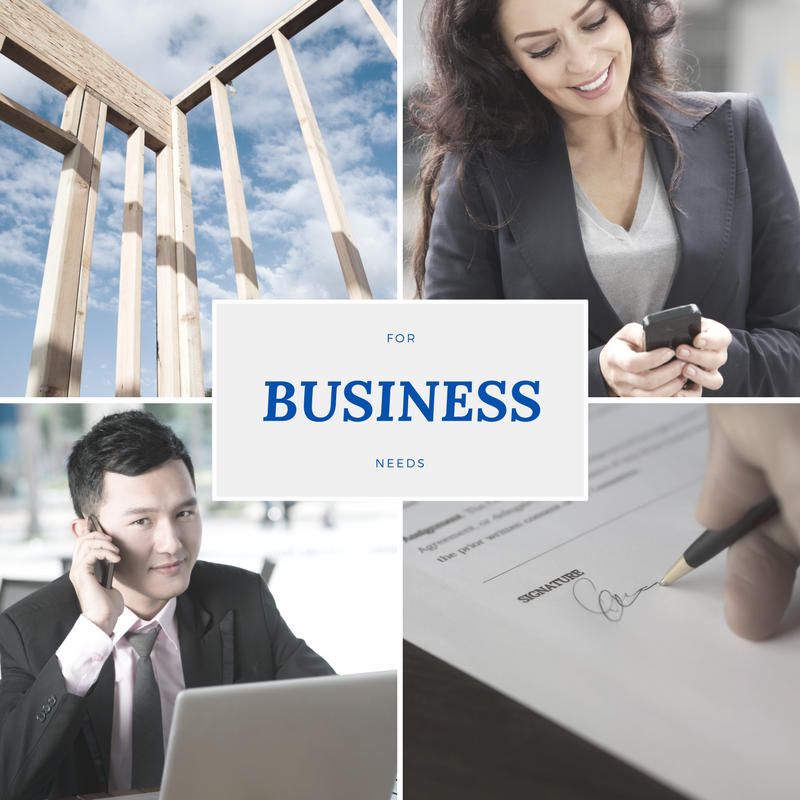 Whether you are an entrepreneur starting your first business, purchasing a business, or a seasoned professional we can assist you in starting and maintaining your business. Which Entity is Right for Your Company? Both an LLC and an S corporation offer limited liability protection to the partners. LLC—there are no limits on the type of owners or number of owners that are allowed within an LLC. For example, owners/investors within the LLC can be non-humans such as corporations or partnerships without violating the requirements of an LLC. S Corp—there are limits on the type and number of owners allowed in an S Corp. There can be no more than 100 owners, although family members are counted as one owner. There can be no nonresident aliens as owners; only U.S. citizens and residents are permissible S corporation shareholders. There can be no corporations or partnerships as owners. LLC- if an LLC consists of a single owner then he or she will be regarded as a sole proprietor for tax purposes and will pay taxes on all the company’s profits and losses. However, in any LLC consisting of 2 or more members then the taxes are paid as a partnership and the profits and losses are divided among partners wherein each partner files a form1065. The form 1065 is where partners report their percentage share of the profit and loss assigned to him or her and pays tax according to that percentage. This is known as a “pass through taxation,’ which simply means the taxes are paid not by the corporation, but they pass through and are paid by the partners. This is a great advantage because with pass through taxation the business profits are only taxed one time versus, for example, a C Corp where the profits are taxed twice; first to the corporation and then a second time to the partners. S Corp- also allows for pass through taxation but requires a special election by filing form 2553. This will only be allowed if the corporation fits within the guidelines that are set up to allow it to be considered an S Corp, for example, it must not violate the ownership rules as mentioned above. Therefore, in a corporation you are not guaranteed pass through taxation whereas with an LLC pass through taxation is the default. LLC- all income passed through an LLC to its voting members is subject to the 15.3% self-employment tax. In an LLC the profits cannot be divided up as either a salary or a dividend to limit payroll taxes. If the LLC’s total profits are $1000 the income tax liability for the $1000 is passed through to the members; therefore, the members would have $1000 of taxable income. S Corp- may divide available income between reasonable salaries and S Corp dividends to save pay roll taxes. For example: let’s say the S Corp has a profit of $1000. In the S Corp the $1000 can all be paid out or divided between reasonable salaries and dividends. The income tax liability will be the same as the LLC because whether distributed as dividends or paid out as wages the owners will still have $1000 in taxable income. The difference is that if the owners pay $500 in salaries and a dividend of $500, the $500 in dividends is not subject to payroll tax thus, because the combined federal payroll tax is 15.3%, by using an S Corp the business owner saves $500 x 15.3% = $76.50. As, a general rule, owners who work for their business in an S Corp are employees. FICA tax is imposed only on wages paid to these owners and not the dividends. While there may be a temptation to pay no wages and only dividends for income tax purposes, the IRS says you can’t do this. Owners must receive (and pay FICA on) reasonable compensation for work performed. Doing otherwise draws attention to the IRS and may result in an audit. Please note the above is how the Internal Revenue Service (IRS) treats LLC and S-Corps. Some states treat differently. LLC- always hold appreciating property in an LLC. If the property is taken out it will not be considered as a deemed sale. S Corp- yes, never put appreciating property in a corporation regardless of whether it is taxed as a C or S Corp. Doing so will result in the property being taxed. As an example, business owners’ A and B buy property for $1000 they transfer the property to a corporation (no distinction whether it is S or C) after 5 years the property appreciates to $2000. They then distribute the property back to themselves without selling it. The distribution from the corporation is a deemed a sale under federal tax law and the business owners now have $1000 in taxable income even though the property was not actually sold. LLC- One of the features that distinguish the LLC from an S-Corp is its operational ease. There are far fewer forms required for registering and there are fewer start-up costs. Filing taxes is a once-a-year affair on April 15. Moreover, LLCs are not required to have formal meetings and keep minutes. These forms are due at various times during the year, so the burden to file them increases. There are times when running a company as an LLC and S Corp can be beneficial. In such a situation an owner would set up an LLC as a holding company and the S Corp as the operating company. By doing this the owner can place valuable property, which is used within the business, in an LLC and then through a license agreement give right to its use to the S Corp. The advantages to this are: first, the property in the LLC is not exposed to any potential business risk of the S Corp liability; second, through the S Corp the owners can divide the income as wages and dividends; and third, owners can convert potentially active income, “subject to income taxes” into royalty payments, which are passive income “not subject to pay roll taxes”. The above information is meant to serve as an overview of the differences between LLC and S-Corps. This is not intended to be a legal memorandum or contain legal advice. Nothing contained within the document should be construed as such.